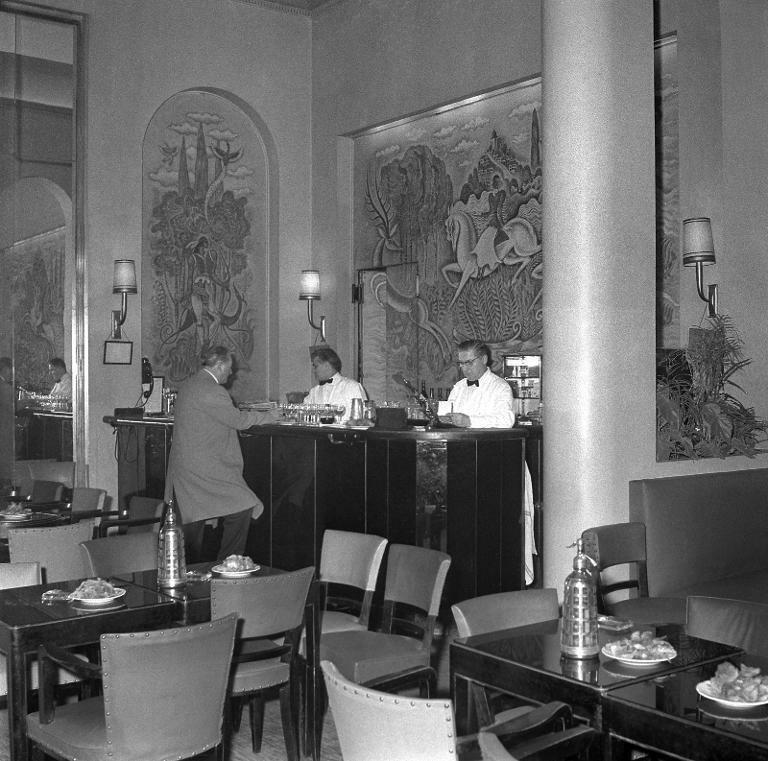 When James Bond arrives in Paris, after having departed the Orient Express in Dijon, he heads to the luxurious Ritz Hotel. 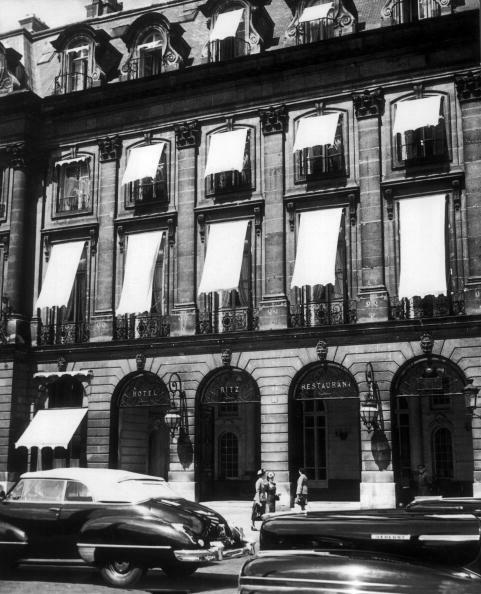 Bond’s taxi pulls up to the Rue Cambon entrance of the hotel. Ritz Hotel, Paris. Rue Cambon Street side. He goes into the hotel, takes a left and goes into the Ritz bar, where he has a double vodka martini. Bond feels wonderful at the moment. After finishing his martini, he goes to the concierge lodge, is given a pass-key (and a sharp look) on orders from Rene Mathis, and heads to his destination – room 204. 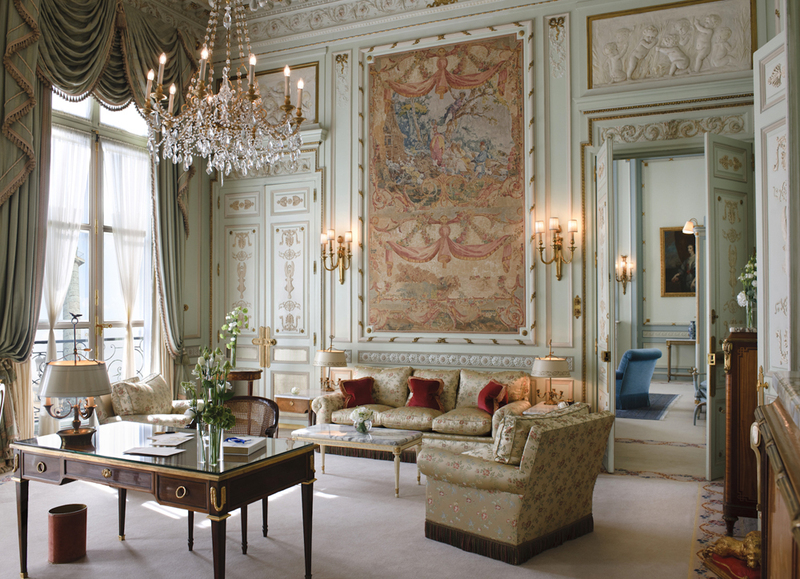 Here are a couple of the suites from the Ritz Paris, which has been under renovation for the last few years. These are from prior to the renovations. It was a typical Ritz sitting-room, extremely elegant, with good Empire furniture. The walls were white and the curtains and chair covers were of a small patterned chintz of red roses on white. The carpet was wine-red and close-fitted. In a pool of sunshine, in a low-armed chair beside a Directoire writing desk, a little old woman sat knitting. 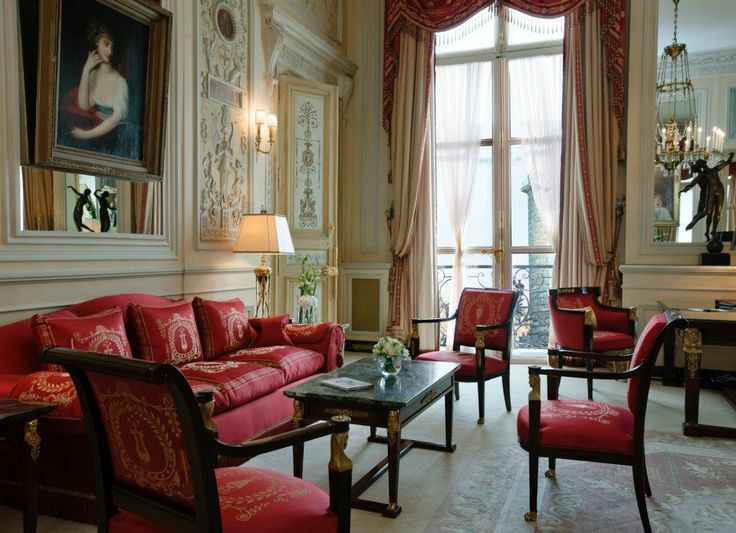 The novel From Russia With Love ends inside this room 204 of the Ritz Hotel, Paris. At last they were down the steps and on to the hard, wonderful, motionless platform. A blue-smocked porter took their luggage. The sun was beginning to rise. At that hour of the morning there were very few passengers awake. Only a handful in the third class, who had ridden ‘hard’ through the night, saw a young man help a young girl away from the dusty carriage with the romantic names on its side toward the drab door that said ‘SORTIE’. They make their own way to Paris. 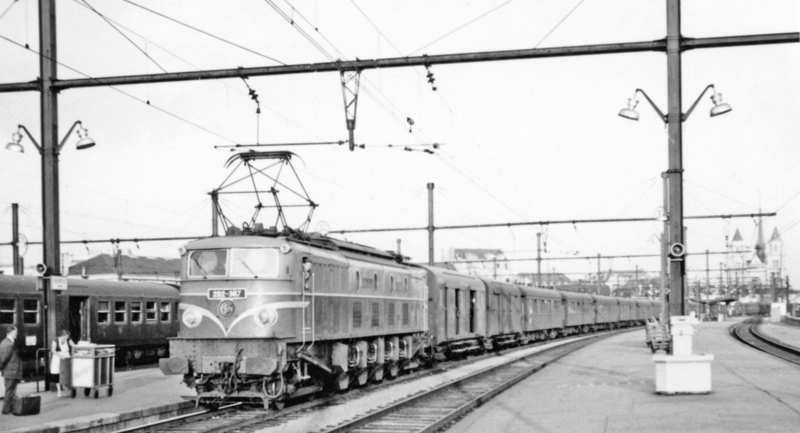 Platform at Dijon, late 1950’s. 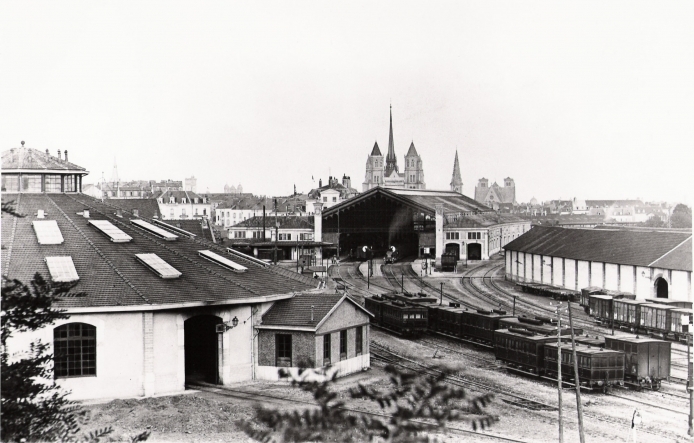 The station in Dijon was opened in 1849 and remains in operation to this day. By the way, SORTIE is just a designation for an exit.